Here at Hex 11 Software we are continuously improving My Ching with the additions of new features. The release notes below explain what new feature or problem-fix is provided with each version. My Ching now has a password manager as a bonus feature for My Ching subscribers. The manager is accessed from a separate menu containing special password journals. The sort order options boxes changes appropriately for each of the journals types: standard, hexagram reference or password. Editing reading text was causing the search engine index to be updated on each key stroke. This should only happen when you save the reading. When editing a hexagram reference entry the page section links were not showing the correct names. Enabling the steps of change advanced perspective was preventing hexagram references from opening. Renaming a journal was causing the name to be extended with the letters .dat. Modifications to support the use of lifetime subscriptions. New entry in the Application menu allowing you to deactivate your subscription. This is useful if you want to reassign a subscription to a new computer. The built-in help system (See the Help menu) has a number of improvements. Help pages now automatically synchronizes with the latest version of the manual published on the myching.software website. Fixed a limitation of help system where it was not possible to navigate text highlighted as a link. You can now do so by finding the link in the External Links section underneath the contents tree on the left. These are active hyperlinks that will open in your browser. Help pages now show links to screenshots accessible from External Links. Contents headings is optimized to hide long lists of sub headings under an expansion button, but short lists remain visible. This means the External Links section will be visible without having to scroll down the side-pane. Fixed pixellated fonts and graphics when using a high-definition 2K or 4K definition monitor. This was because My Ching had not been properly configure to ignore custom display scaling. Fixed automatic upgrade to download the correct installer for the Windows version. Previously it was downloading the XP version for Windows 7 to 10. Fixed the "Unknown publisher" error when uninstalling by digitally signing myching.exe in addition to the installer exe. Windows 10 users with high definition 2K or 4K monitors are recommended to reboot their machine after upgrading. This fixes a problem with tiny menus and title bars. Fixed a problem where trying to replace an existing backup file with another of the same name, would not work. Fixed subscription pack detection problem. Security fix to give My Ching a proper user-agent name when making HTTP requests. Fixed problem in the trial version where hexagram reference pages would not open. Replaced Google machine translation for German with human translation. In this release we have added a special journal that functions as a Hexagram reference. It contains the following information on each hexagram, and because it is a journal, you can add your own notes and resource links. A short list of conceptual associations for each hexagram compiled by the I Ching scholar and author Bradford Hatcher (http://hermetica.info/). A list of links to translations, interpretations and other online resources. This release also has a new feature that automatically downloads new releases for you when they are available. Once every 3 days you will get a reminder to install the new version. For this release we have fixed some links in the online hexagram resource menu and added a few new ones. Fixed a problem with the automatic updating of the online hexagram resource links. Added a new option in the application preferences that allows you to open resource links in the default system browser instead of in a My Ching browser tab. Added a facility to insert web-page links in journal entry notes. See the Creating an Entry section in the manual. Fixed a problem with the My Ching installation setup where it was very difficult to make the "A5 paper" window smaller than the default size. The number of hexagram lines displayed now reflects the number of coin values entered. A question mark symbol '?' will be displayed instead of a number until the final line is entered. When using automated hexagram casting, the mouse pointer will automatically move to the next forming line after 3 mouse clicks. Improved the layout of the preferences dialog screen to make better use of the available screen space. Added a button for removing custom themes that have been renamed by the user. The short time delay while the preference dialog is opening or updating is now indicated by a "busy mouse pointer". The theme selection box is now grayed out while the preference dialog is being updated. After theme selection, the current preference tab is reselected to what it was. Manually typing a HTML color code into the color preference tab, will now update the preview areas. Fixed an issue with the journal banner display of Chinese hexagram titles when using a large font. The text was not being contained within the boundaries of the "paper tag" area. Update of illustrations is now integrated with automatic update of online-resource menus. Separated English language sample readings in "Big journal" from other European languages. Changed activation process to use numbered subscription packs in case the customer bought multiple subscriptions. Fixed problem where some "YES or NO" user preferences were not being saved properly. Fixed problem that limited the number of multi-byte characters that could be used in the question or comments text to 26. Multi-byte characters are used for Mandarin and other Asian languages and for special symbols, like the trademark symbol for example. Introduced a new feature that allows you to link related readings. Fixed a bug affecting laptop displays where the left margin of journal pages had disappeared, and the right margin had a "button ghosting" effect to the right of the banner. Reintroduced an important feature that scales down the dimensions of the My Ching application window for computers that have a display height of less than 25 centimeters. Added a verification checksum to each journal backup. Fixed an issue causing the application to freeze during a backup. Issue where My Ching could not detect the subscription license file copied to the desktop folder on computers that had a non-English language pack. Issue affecting Windows Vista which would crash while trying to detect if an Aero theme is active. This release fixes many issues for Windows XP and also on machines where English is not the installed language. My Ching logo not visible in My Ching application launcher, with only a generic one displayed instead. 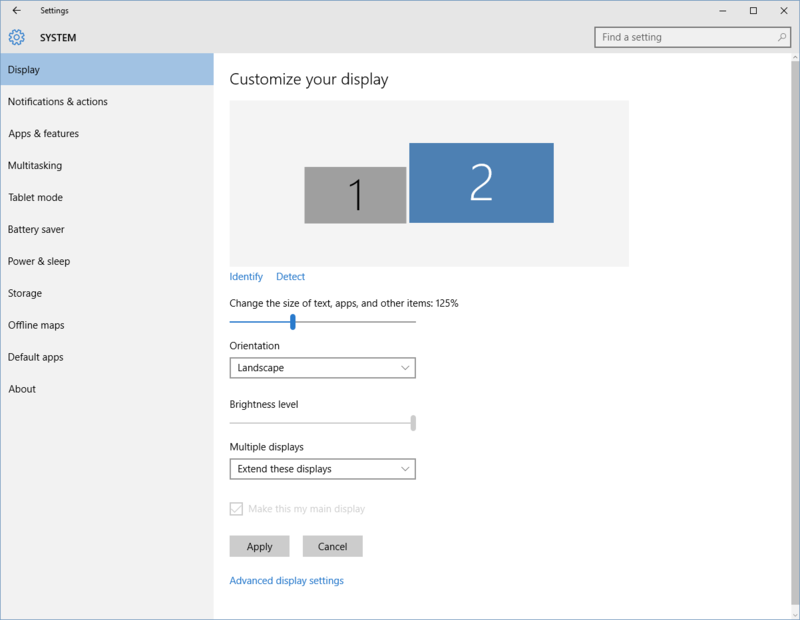 Issue where My Ching was unable to determine the correct display size on some computers, consequently the application window was far too small. Issue where the button graphics failed to initialize and were thus not visible in application. This mainly affected computers where the user name contains accented characters. Duplicated submenus in journal and entry menu options. Fixed bug affecting new readings where if the reading was immediately reopened for editing after saving, it would not save on the second time. Fixed trial version where reading were not being saved in journals with less than 10 items. Fixed graphics initialization problem where buttons were appearing blank. Journal titles on the "luggage tags" on page banners were sometimes crossing outside the right margin. Chinese names on page banner sometimes had lower part of text obscured. 32 bit version was failing to launch due to a missing DLL file. 32 bit version when installed on 64 bit machine was installing to "C:\Program Files ^(x86^)" instead of "C:\Program Files (x86)". User preference dialog was failing to open. Journal entry tabs tabs that display the same search navigation from are now automatically merged into one tab. This prevents a potential problem if the user edits a reading that is displayed in another tab. Deleted journal entry was still remaining in the current search result list. Minimum application window width on Windows was too narrow. Made the online resource menu automatically refreshable from the myching.software website. As I Ching online resources tend to come and go, any bad links will be weeded out from time to time, and replaced with new ones. Occasionally remind the user when a newer version of My Ching is available. For each reminder, the release notes page is displayed in My Ching. License activation now shows a dialog while connecting to the license server. Allow the user to request a higher priority for implementing feature to import readings from a particular I Ching journal application. Resource browser was displaying incorrectly formed URL's in the Windows version. This is the initial beta version offered for testing. in that years are more significant then months, and months are more significant then days. Just like the number of days in a month are a little bit arbitrary, the middle and and last number in a version triplet have an arbitrary maximum before the number to the left increases. The other similarity to dates, is that the first number in a version triplet, tends to change on a timescale measured in years (but not always), the second in a timescale measured in months (but not always), and the last in a timescale measured in days (but not always).